In Florida, if you shoot or throw a “deadly missile” into a building, vehicle or vessel with wanton or malicious intent, you could be facing up to 15 years in prison. This is true even if absolutely no one was injured as a result of your actions. This crime is outlined in F.S. 790.19, which also includes aircraft, buses, railroad cars, street cars and other vehicles, and is applicable regardless of whether the building is a dwelling or a public or private building. The Broward criminal defense lawyers at The Ansara Law Firm recognize this law was enacted with the purpose of ensuring public safety. However, the language of the statute is broad, and encompasses a wide range of actions, some of which are seemingly far less serious than others. For example, a “deadly missile” could be anything from a bullet to a rock. In these cases, in addition to employing the standard defense tactics, our legal team will work to identify potential mitigating circumstances that might compel a prosecutor to reduce or drop the charges before trial. For example if no one was injured, you don’t have a prior criminal record and there is scant evidence the action was intentional, all of this could be used to your advantage. This is not to say an effective defense will be simple or easy. This is a serious felony charge. Prosecutors don’t want to be seen as soft on crime. Neither do judges. The best way to improve your chances of a favorable outcome is to hire a criminal defense lawyer with extensive experience in this area of law. Usually when we think of “missile,” we picture a weapon of war, such as a nuclear explosive device. That’s not really what we’re talking about in F.S. 790.19. A missile can technically be any object that is propelled at a target, either by hand or through the use of a mechanical weapon (i.e., a gun). The statute pertaining to Shooting or Throwing a Deadly Missile states specifically that a person may be found guilty if he or she maliciously or wantonly shoots at, within or into or throws any missile or projects any stone or other hard substance that would produce death or great bodily harm into a public or private building (occupied or unoccupied), a public or private vehicle (occupied), he or she will be found guilty of a second-degree felony. Technically, the term “missile” isn’t formally defined under Florida law. The Second District Court of Appeals ruled in the 1982 case of J.W.B. v. State that a “missile” could be considered any weapon or object that is dropped, thrown, fired or projected at a given target. Whether it is a rock or a machine gun bullet, the key is that it has to be capable of causing either death or great bodily harm. This makes identification of the object a critical component for conviction. This might seem silly, but again, this is a felony charge and the consequences are no joke. The action by defendant was “wanton” or “malicious” (i.e., consciously, intentionally, with reckless indifference to potential harm or with specific intention to do harm). Note that in the case of a building, it is not necessary that it be occupied. However with regard to a vehicle or vessel, it must be either occupied or “in use” by a person. Each of these elements must be satisfied beyond a reasonable doubt in order for prosecutors to obtain a conviction. Maximum penalties for a conviction include 15 years in prison, 15 years of probation and a fine of $10,000. Not enough evidence defendant was the one to throw, shoot or project the object. The most effective solution for your case will depend on the specific allegations of each case. Call our Fort Lauderdale criminal defense attorneys today to learn more about how we can help. 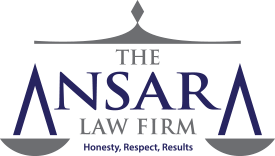 If you have been charged with a gun crime or weapons offense South Florida, contact the Fort Lauderdale Criminal Defense Lawyers at The Ansara Law Firm by calling (877) 277-3780.